Black Oxide Industries was established in 1974 and resides at its original Anaheim, California location. BOI operates one of the largest capacity black oxide facilities in the United States and has gained a reputation as a trusted metal finishing professional. Our reputation of being a highly qualified organization is recognized at various levels of the U.S. military, defense, and aerospace industries. Aerospace & military prime contractors hold BOI in the highest regard with Nadcap accreditation of our aerospace quality system, testing laboratory, and chemical processing facility. With nearly 40 years of experience in chemical conversion coatings, specifically Black Oxide, our resume of the projects we are associated with is a never ending list. However a few to mention are; The Mars Rover, Apache Helicopter, M1 Tank Series, Stealth Bomber, MILSTAR, NASA Global Hawk, F-15 / F-18 Aircraft, Penetrator Missile and various other missile projects. 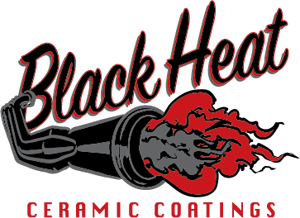 Black Heat Hi-performance ceramic coating was designed to outperform a conventional heat resistant finish. It is a favorite coating specification of exhaust systems manufacturers for Automotive, Aerospace, Motorcycle, and Marine. The heat resistant coating is also used in the lighting industry where the temperatures are higher than normal. Moving parts, such as cylinder heads, radiators, brakes, rocker arms, gears, and valve covers, can also benefit from high temps.